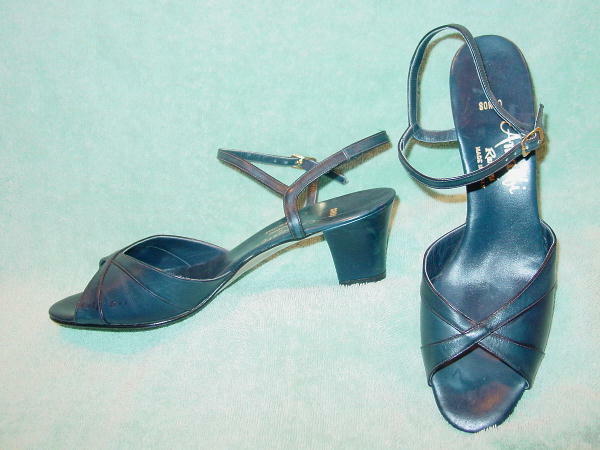 These vintage dark blue leather open toe sandals are Amalfi by Rangoni and were made in Italy. They have ankle straps and elongated gold-tone buckles. There are color matching blue footbeds. The shoes have a few scuff marks. They're from a former model.